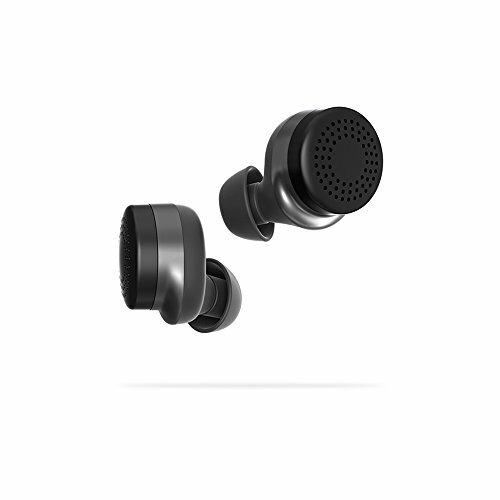 Here One Wireless Smart Earbuds are the first truly wireless 3-in-1 earbuds combining Premium Audio, Smart Noise Cancellation and Voice Amplification. With two Here Buds and a smartphone app, Here One streams music & makes phone calls, tunes out noise, and makes it easier to hear people in noisy places. Here One is compatible with iPhone 5 and above running iOS 9 and above. Android device compatibility is limited to OS version 7.0 and above. Here One uses a Bluetooth wireless connection. If you have any questions about this product by Doppler Labs, contact us by completing and submitting the form below. If you are looking for a specif part number, please include it with your message.